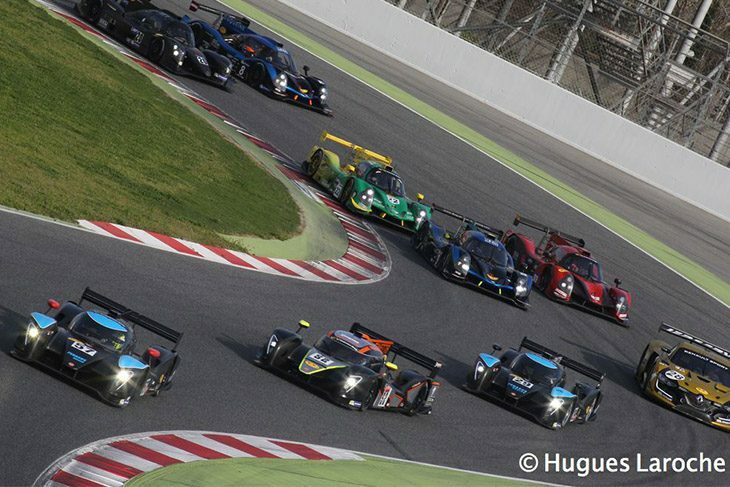 Simpson Motorsport completed an incredible comeback drive against all odds to win the opening round of the 2017 VdeV Championship with its #52 Ginetta G57-P2 at Circuit de Catalunya. British drivers Sennan Fielding, Charlie Robertson and Colin White steered car from 20th place and multiple laps down to the lead in the final hour, after an early off into the gravel by White forced the team to adopt a new strategy mid-race. The result capped off a successful weekend for the 2016 PFV class champion, in which it qualified on pole position, scored the fastest lap and won the race. For the winning car, the race also marked the coming out party for F4 covert Sennan Fielding, who impressed mightily in his first sportscar race, putting in an incredible stint in the middle of the race to put the team in position to take the win. “It was a real rollercoaster,” said Robertson after taking the win. “The team worked so hard all weekend and we had the speed to win, but we had to really push to get back into it. Luckily when the car went off the Safety Car came out so we only lost a few laps. “But it was still an almost impossible task. After Colin (White) climbed out of the car and handed it over to Sennan (Fielding) it was game on. He did an incredible job with his double stint in the middle of the race, taking the car from P20 to P3. It may have been a very different result though, had bad luck not struck the Pegasus Racing team’s #57 G57 of Mike Simpson, Jordan Sanders and Neale Muston. With an hour to go though, the #57 G57-P2 looked to set for the win, leading by two laps as Muston handed over to Simpson following an ironman-like stint. But a mechanical issue forced the team to retire the car shortly after it left the pit lane with a mechanical issue. Finishing second – and winning the LMP3 – after a thrilling sequence to end the race was the #9 Duquesne Engineering Ligier JS P3, which was driven by Frenchman Nelson Panciatici in the final hour. 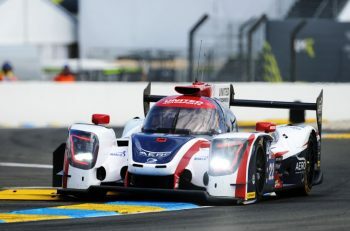 Panciatici muscled his way through Jordan Perroy’s third-place finishing N’Race Ligier in the final 20 minutes and took the lead off a flustered Robertson briefly, before Robertson made the move once again to take the lead with seven minutes remaining. Fourth place meanwhile when to the #39 Graff Ligier, with the #8 Duqueine JS P3 rounding out the top five. The second place finisher in the PFV class was the #29 Pegasus Racing Ginetta G57 of Julien Schell and Stephane Raffin. It was a great performance by the duo in the team’s first weekend with Ginetta. Schell in particular stood out, having to drive almost three hours of the four-hour race after Raffin fell ill. The winner of the GTV1 class came home eighth overall. 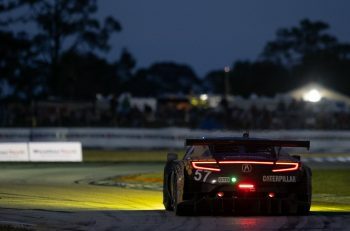 IMSA Performance dominated proceedings with its Porsche 911 GT3 R of Raymond Narac and Theirry Cornac, finishing two laps clear of the rest of the field. Visiom, in only its second race with the 488 GT3 and the CMR Sport Garage 458 GT3 crossed the line second and third. RMS won the GTV2 class with its Porsche 991 Cup car. The second round of the 2017 VdeV Series season is set to take place at the Algarve International Circuit in Portugal on the 28-30 April.